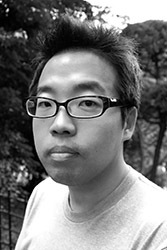 Bosuk Hur received his professional education from Harvard University Graduate School of Design in a Master of Architecture degree with faculty design award. While at the GSD, he worked as teaching assistant in design studio. He also experienced SOM Chicago and Space Group in Seoul, Korea, and worked in Stanley Saitowitz l Natoma Architects as a project designer. His works have published and exhibited in several location such as Korea, China, Italy, and US. All his design works start from manipulating boundary existing in-between parallel environment. This design philosophy prioritizes the environment [context] that constructs a space ahead of the visual glamour of the edifice. His specific area of design interests is the power innate in space and the atmosphere that composes them. By intellectually manipulating the architectural elements that make up space, he seek to deliver new memories and other stimulation of human senses.